The Psychology Clinic at the University of North Texas was originally founded in 1972 with the purpose of providing professional services and referrals to clients who request them. 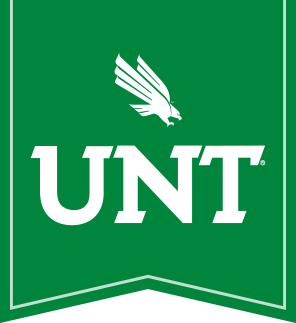 The UNT Psychology Clinic also provides professional and competent training to graduate students in the applied programs of the Department of Psychology. The Center for Sport Psychology is contracted with the UNT Athletic Department to provide sport psychology services to its sport teams, individual athletes and coaches. Currently, we have 9 consultants working with six teams (five women's, one men's). These teams comprise over 125 student athletes and 10 head and assistant coaches. In addition to the 9 consultants that have been assigned to and work daily with these teams, we have served several individual athletes from other UNT sport teams. We also work closely with the UNT sports medicine staff, in particularly the head athletic trainer Dustin Hill, to coordinate mental health treatment of athletes and to provide referral sources as needed. Finally, two of our consultants taught student athlete sections of Psychology 1000, which was taken by all individually reviewed (IR) student athletes. In addition to teaching the course, we are tracking these students to determine the effectiveness of their involvement in the course. Performs basic research on wellness within a chronic illness context to provide a foundation for the future development of psychosocial and behavioral interventions that encourage health-related behavioral change. Currently the Center is engaged in coping and quality of life research and associated psychosocial factors in the HIV/AIDS population. For more information about the current projects and our staff visit our website.